If you don’t know about the belt bag trend, where have you been all year? Belt bags are super handy for holidays because you can literally carry all your essentials on your hips and keep your hands free. I’ve had my eye on the cute, little Gucci ones, but at £750 a pop, I currently don’t have that much disposable income to fork out for one of those. However, trusty Primark have a great selection of belt bags as well as Zara. Wherever you’re heading, regardless of strong sun or intermittent sun, if you’re going to lounging by pool or dipping your toes in sea, a swimsuit is an essential. I love my Watercult swimsuit from UK Swimwear, it fits great and I love the print all over. It’s also super flattering and comfortable to wear making it perfect for all-day wear. I took this swimsuit with me to Ibiza and Maldives this year, it was my go-to piece of swimwear. For a quick glow, I highly recommend the use of Bali Body products. I used them on top of my sun protection and it helps to enhance my tan nicely. Whilst in the Maldives, I used factor 30 sun cream and mixed in a little Bali Body Cocoa Tanning Oil, it worked super well and gave me a gorgeous glow in a day. 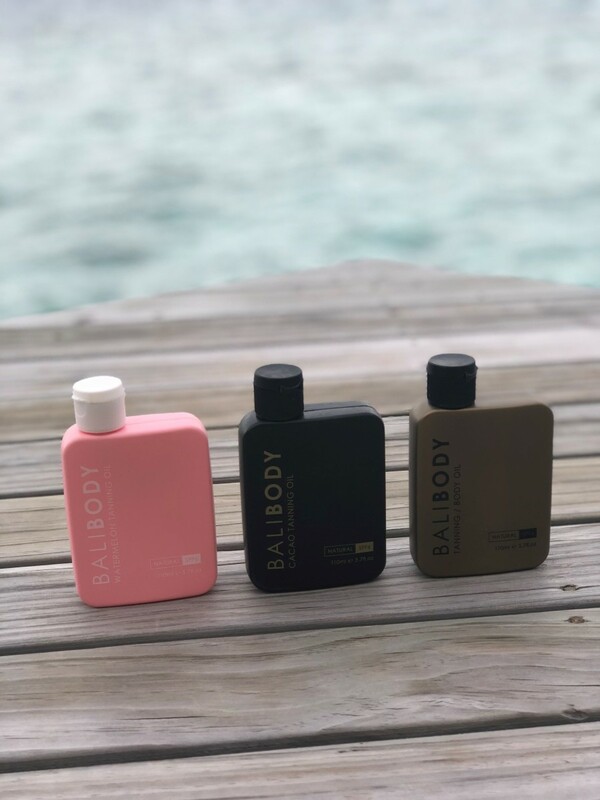 If you’re only going away for a few days and need something to get you tanned quickly, then Bali Body will be your go-to. Do you have any autumn sun holidays planned? If yes, what essentials will you be taking? Need A Chance To Rest and Recharge? Lovely swimsuit! Going to miss the sunny days!